Those planning business trips to the Windy City should give some consideration to bringing the family along during their Chicago luxury stays. The city can be a fantastic vacation spot, as it offers a range of fun summer events that your family can enjoy while you’re at conferences, attending meetings and/or conducting business. Though there are many, here are a few ideas to help you plan the family’s itinerary. 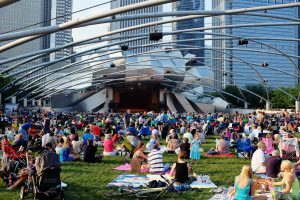 Grant Park Music Festival – One of the most popular Chicago summer events, this annual ten-week music festival runs between June and August of each year. It features musical acts by guest performers, the Grant Park Chorus and Grant Park Symphony Orchestra. It takes place just outside of downtown Chicago in Millennium Park. Shedd Aquarium – Kids absolutely love this indoor public aquarium because it features some of the rarest and most unique fish they’ll ever see. 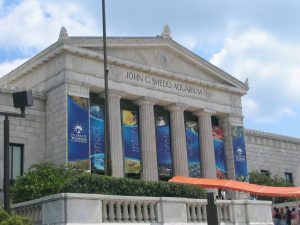 It’s extremely educational and best of all, the Shedd Aquarium hosts a variety of events focused on animal experiences and special presentations. Check their calendar to learn more. 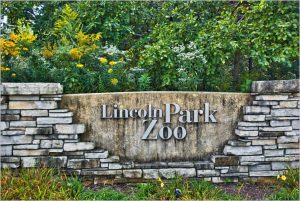 Lincoln Park Zoo – Located just outside of downtown in Lincoln Park, this public zoo is one of the oldest in North America. Admission is free and the zoo runs a variety of events each month such as “Fitness At The Zoo,” “Mother’s Day Brunch at the Zoo,” and more! 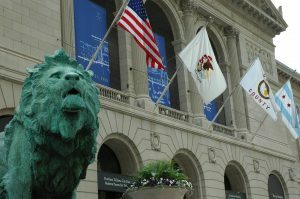 The Art Institute of Chicago – Your crew will have a blast browsing some of the finest quality art from all over the world. This local art museum offers a number of events during the summer which includes special workshops and family gallery tours. It’s a must visit for any arts and culture lover! Navy Pier – Stretching over 3,000 feet in length, this pier is located directly on the Chicago shoreline of Lake Michigan. It’s home to rides, shops, dining and a beautiful view of downtown. Furthermore, those visiting the pier during the summer months can check out concerts, firework shows, plays and other festivities. 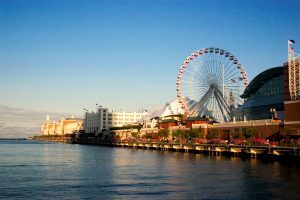 Chicago extended stays are great for the entire family because there is never a shortage of things to do. Both kids and adults can stay busy for days with activities ranging from educational and engaging to relaxing and stress-free.